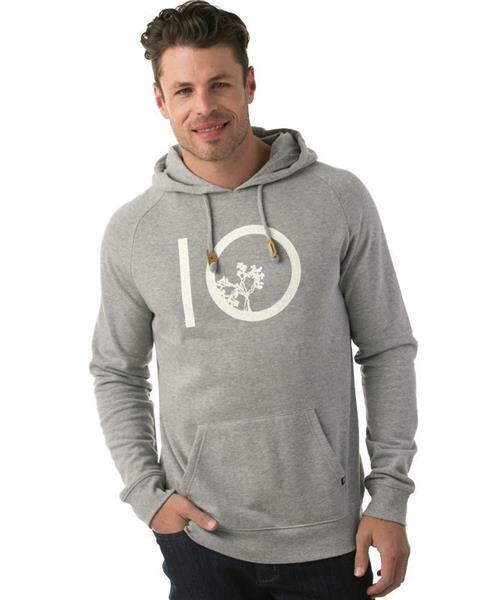 A hoodie that defines tentree's passion. Made with organic cotton and recycled polyester and features eco touches like cork branded drawcord tabs. Their vintage tentree logo is prominently placed front and centre. Stay warm in one of Tentrees most recognizable pieces. Ten trees are planted in honor of every product sold.